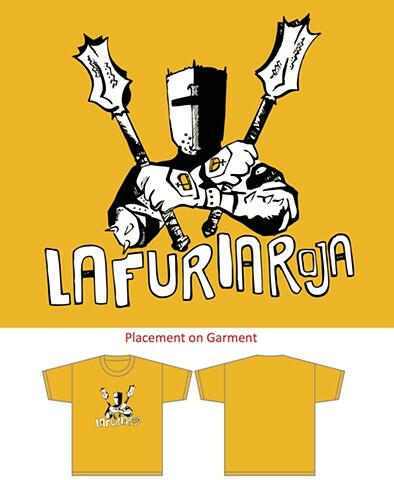 La Furia Roja design features cut outs so the background color illuminates the crowns. Nick name for both Spain and Copa America 2015 champions Chile. Contact me for available shirt sizes and colors.